Are you one of the many people in Duluth, Georgia that is suffering from hip pain? If you are in need of relief, you have found the right place. Our Duluth Chiropractic Clinic specializes in treating joint pain. Hip pain is a very common ailment that our doctors see, and if left untreated it can cause permanent damage and serious limitations in your daily life. The human body heavily relies on muscles, ligaments, and joints to provide structure and balance while maintaining mobility. If there is an issue with any one of these parts, it can throw off the functionality of our body, including components in the hip causing pain and impaired mobility. How can chiropractic adjustments help hip pain? Our doctors may use a combination of different treatment techniques to help resolve your pain symptoms. These can include both spinal manipulations and manual therapies. Regardless, your doctor will outline your specialized treatment plan for you to help cure your chronic hip pain. The most basic chiropractic technique involves manual therapy of the spine, joints, and soft tissues. Many times, it is incorporated with spinal manipulations; nutrition management, stress management, and positive lifestyle goals to help reduce chronic inflammation of the hip joint. There are a vast number of chiropractic manipulations that can be used to treat hip pain. The treatment our Doctor's select for you is based upon your preferences and needs. How Does the Hip's Structure Provide Mobility? The hip is a ball-and-socket joint that is formed between the femoral head and the acetabulum, a part of the pelvic bone. Because of the design of the hip joint, it is capable of a broad range of motion in all directions: forward and backward, side to side, and inward and outward rotation. A tremendous amount of pressure is regularly put on the hip region, with activities such as walking, running, lifting, and bending. Due to the wide range of motion, combined with a high amount of force, the hip rely's on muscles, tendons, and ligaments to control and protect the area. Similar to the mechanics of a car, if one part or piece of your vehicle becomes damaged or broken this often causes the vehicle to operate poorly or even "break down"and needing immediate maintenance. By realigning the structure of the body and the joint ranges of motion, our doctors aim to improve mobility and function, reduce pain, and initiate the body's self-healing abilities, giving patients instant gratification and lasting results. 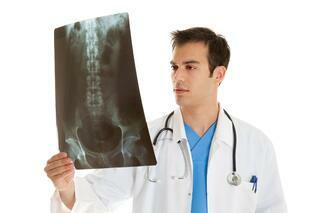 Why our Doctors in Duluth offer the best Hip Pain Relief? We offer each of our patients a Free Consultation at our Duluth Treatment Center to see if we might be able to relieve your hip pain naturally and effectively without invasive surgeries and risky medications. We are a Personal Injury and Chiropractic Clinic with a location in Duluth that specializes in finding effective and natural solutions for acute and chronic hip pain that is caused by an injury. At Arrowhead Clinic we have a team of physicians and chiropractic specialists who have the ability and qualifications to diagnose and treat many different types of hip pain and other sports related conditions or injuries. Our Doctors are devoted to helping each patient obtain long-term relief from their hip pain so they can return to their normal life. Our individualized treatment plans focus on preventing hip injuries and pain from returning in the future. We do this by balancing the pelvis which in turn acts as a stabilizing aid for the spinal column. Injuries or illness can cause pain to the hip that can be debilitating on your life. While many causes of hip pain can originate from the joint itself, there are various structures that surround the hip that can also be the source of the pain. How Can Our Duluth Clinic Naturally Provides Relief for Hip Pain? Chiropractic is a health care profession and a type of alternative medicine that helps to balance the body's musculoskeletal and nervous systems. 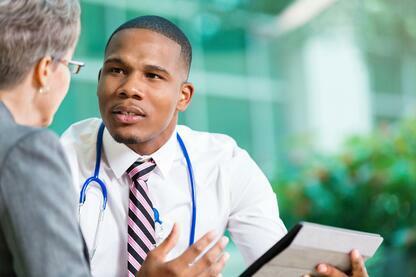 If you become a patient, during your initial visit you will be given a physical examination and asked questions pertaining to your past medical history. A thorough assessment of the hip is administered carefully pinpointing the origin of the pain. If the Chiropractor determines you are an appropriate candidate for chiropractic care, you will be provided a specialized treatment plan. Many people that experience hip pain are quickly pushed towards risky surgeries and dangerous pain medications. However, this leaves many patients with expensive medical bills, increased pain, and a reliance on prescription medications. Chiropractic techniques allow patients an outlet to such extreme measures and expensive procedures. It is a risk-free option that is more effective, less costly, and relieves pain more quickly, delivering you the results you want. Specialized hip pain treatment plans offer a natural remedy to pain while avoiding the cost and risks that are associated with surgery and drugs. Our experienced Chiropractors will improve your functionality and mobility to a healthy level. Many patients come to our Duluth, Georgia Clinic experiencing severe pain and unable to perform their day-to-day activities. Our doctors have helped thousands of individuals, designing a specialized treatment plan that is targeted to individual pain levels and needs. Do Not Continue to Live in Pain, Call Our Duluth Clinic Today for Hip Pain Relief! Super friendly!!! I enjoyed their service. Dr. Gentry takes great care of his patients. I definitely recommend others to him for sure! Thanks Arrowhead staff of Pleasant Hill!